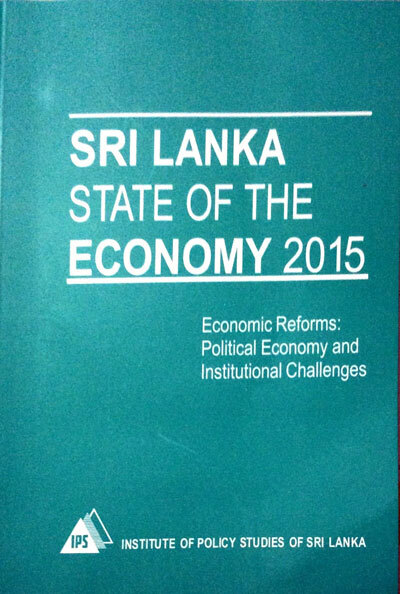 The Institute of Policy Studies, better known as IPS, has just released its Sri Lanka: State of the Economy 2015 with a sub tagline ‘Economic Reforms: Political Economy and Institutional Reforms’. The release of the IPS report on the economy is timely due to two reasons. 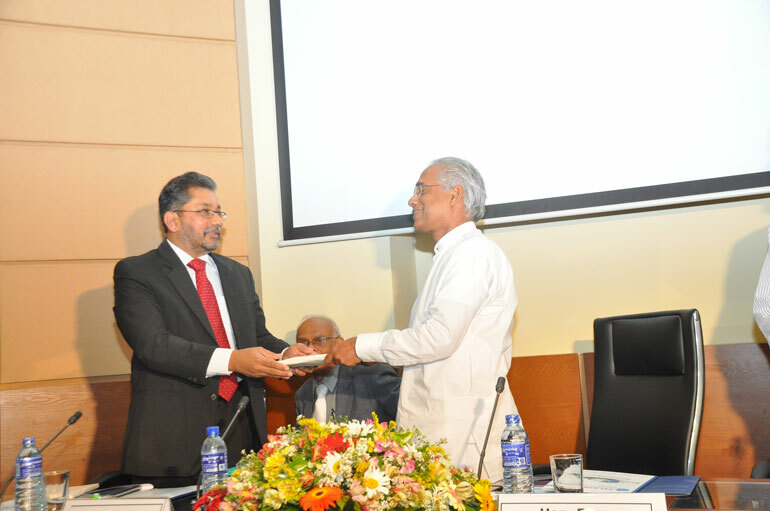 One is that Prime Minister Ranil Wickremesinghe is about to announce the new Government’s economic policy and he could consider drawing on the IPS report when outlining the government’s economic reform agenda. The other is that it highlights the urgent need for economic reforms which had been kept in abeyance by the previous Government sowing the seeds for an implosion of the economy from within. It, therefore, calls upon the Government to introduce the necessary economic reforms urgently and immediately. IPS was created a way back in 1988 as “an autonomous institution that aims to promote policy-oriented economic research and to strengthen the capacity for medium-term policy analysis in Sri Lanka” after three long years of project planning. It is supposed to provide an impartial, apolitical and objective policy analysis to the government through its research programs. Thus, it has to be critical in its policy analysis and look at, following the ways of good economists as highlighted by the 19th century French economist and statesman Frederic Bastiat, not the short term but the long term consequences of any policy measure on an economy. Hence, its critical policy analysis cannot be ignored by any government that values such objective and impartial policy recommendations. This was highlighted by Dr. N.M. Perera, Minister of Finance during 1970-75, when there was no IPS or no one was concerned about good economic policy governance, relating to the role of the Central Bank. The hard-core left-wing politician is reported to have told the senior central bankers at a function in 1971, as reported by the Ceylon Daily News, that “the Central Bank should make independent reports on economic subjects to the government and not make reports merely to suit the political complexions of the government in power”. He has further said that as Minister of Finance, he would value reports made “dispassionately and objectively”. Hence, the new Government, committed to good economic policy governance, should by all means welcome the critical analysis made by IPS in its report. Sri Lanka’s economy is in a crisis today and there is no secret about it. It is not a creation of the new Government in power but the outcome of the wrong economic policies pursued for long by the previous Government. When the independent writers drew the attention of the chief economic policy officials about the impending crisis, their suggestions were ignored, labelling them as politically motivated or serving external agencies on being on their payroll. IPS, to its credit, made a critical analysis of the state of the economy in each of the reports it had issued to the public. For instance, when the Government was rejoicing over the decline in the unemployment rate below 4%, IPS’s SOE of 2014 revealed the bitter truth that in 2012 out of 4.6 million employees, 2.5 million or 54% were found to be ‘precarious workers’ engaged in temporary or casual employments. The same report had questioned the validity of the poverty data compiled by the Department of Census and Statistics or DCS in terms of the national poverty line. According to DCS, Sri Lanka’s absolute poverty had declined to 8.9% by 2009-10. However, IPS reported that when a more acceptable measure like US 2 per day in terms of Purchasing Power Parity or PPP income is adopted, the national poverty level stood at 23%. It also drew the attention to the high income inequality prevailing in the country despite the attainments made with regard to meeting the Millennium Development Goals of the United Nations. 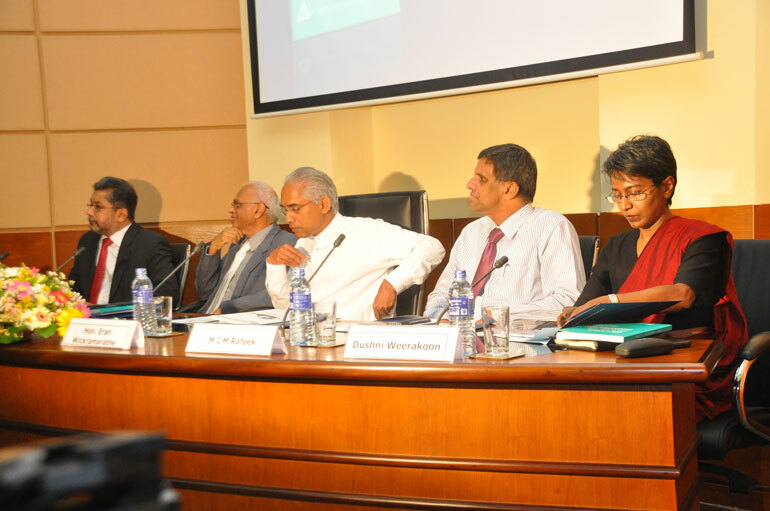 The SOE of 2014 had summed up the prevailing economic scenario boldly as follows: “Beyond the immediate headline macroeconomic numbers, the Sri Lankan economy continues to show skewed growth, high level of external indebtedness, modest export earnings growth and limited private investor appetite to expand production capacity.” Hence, IPS always had a track record of making critical analyses through its annual and special reports. SOE 2015 has focussed on the need for introducing urgent and immediate economic reforms to enable the country to come out of the prevailing economic crisis. The first chapter titled Policy Perspectives has summarised the state of policy reform in the country today and the major areas where reforms have to be directed by the Government. The report has spoken of the regime change in January 2015 in Sri Lanka dispassionately but as an inevitable outcome of the economic and political ills committed by the previous government. The hung-Parliament with deep divisions among the constituent parties of the National Government, according to IPS, casts doubts whether the new Government would be able to hold “for the full five year Parliamentary term whilst setting and implementing policies on both political and economic fronts”. IPS has valid reasons to doubt but experience in Sri Lanka and elsewhere has shown that it is the minority governments without absolute political power that have brought the most unpopular but needy economic reforms to countries. The Chandrika Government of Sri Lanka in 1994 and David Cameron Government of UK in 2010 are cases in point. What is needed is a will and ability to manage events and processes on the part of the political leaders. SOE 2015 has very correctly identified the main source of economic ailment, namely, the bad and imprudent fiscal management inherited by the new Government from the previous Government. Thus, the first and most immediate priority of the new Government should be to go for fiscal consolidation meaning that the Government’s Budget should be brought under control in terms of accepted economic principles. Such a strong fiscal position should be the pre-requisite for generating a healthy situation in economic activities, external sector and the general price level, collectively known as ‘macroeconomic fundamentals’. SOE says that when these sectors are brought into balance, it builds the platform necessary for the government to begin its ‘broad-based productivity-enhancing reforms’. Is the country’s fiscal sector so bad as depicted by IPS? The numbers presented in SOE all testify to it. Though the economy is reported to have attained high growth, the government’s revenue as a share of the total economy, known as Gross Domestic Product or GDP, has been falling. For instance, the total revenue of the Government in 2012 amounted to 13.1% of GDP. This share has fallen to 12.2% in 2014. Expenditure, on average, has been contained at around 19% of GDP but it has been attained by curtailing the public investments, a measure that would impede the future growth potentials of the country. Accordingly, the budget deficit has remained stubbornly at around 6% of GDP while the public debt has increased in absolute terms. The crucial budget imbalance has arisen, according to IPS, due to high payments on account of salaries and wages (around 33% of the government’s current expenditure), interest payments (another 33%) and subsidies and transfers (about 20%). Meanwhile, expenditure on account of human capital development involving education and healthcare has remained below 2% of GDP. What this fiscal scenario is showing is that the Government has been living on a day-to-day basis throughout. The public debt has been kept at a slow growth rate by resorting to another imprudent fiscal policy measure. That is, instead of Government’s borrowing to finance the activities of the Government entities, it has allowed those entities to borrow from the market on the strength of guarantees issued by the Government, known as ‘contingent liabilities of the Government’. These contingent liabilities have increased from a negligible 1% of GDP in 2006 to nearly 6% of GDP by 2014. Any meaningful risk management of the public debt of Sri Lanka should take into account both the direct borrowings and the contingent liabilities of the central government. As such, the country cannot be complacent about the marginally declining debt to GDP ratio. This bad fiscal situation has been made worse, according to IPS, by the gross losses made by key public sector enterprises. During the three-year period from 2012 to 2014, CEB has made operating losses of Rs. 49 billion, CPC Rs. 95.8 billion and SriLankan Airlines Rs. 84.6 billion. IPS has not spoken of the losses of the Central Bank during 2013 and 2014. They amount to a total of Rs. 61 billion. Strangely, all these leading public institutions operate on a loss budget for the next few years as if they do have an untapped resource base to recoup their losses. The Government coffers are empty comparative to its planned and committed expenditure program. To refill the coffers to the needed level, a massive reform programme has to be undertaken in the fiscal sector. But the danger is that when a government just lives from hand to mouth and cannot think of the next few years, it is always prone to find temporary solutions without considering their long term adverse implications. This is where the wisdom of Bastiat comes in handy: He has said that a bad economist just looks at immediate benefits whereas a good economist would look at the costs and benefits of a policy over a foreseeable period in the future. This is the trap to which the present government is likely to fall unless it receives policy advice from good economists. Surely, SOE 2015 of IPS falls into this good economist category. Coupled with the fiscal crisis, there is a monetary policy and exchange rate crisis too facing the country today. IPS has termed it as ‘misalignment of the monetary policy with the exchange rate’. Though governments plan to appreciate the exchange rate to gain a political objective, IPS says that it is a temporary phenomenon since it leads to the appreciation of the local currency against foreign currencies in real terms. Thus, a country pursuing such a short-term policy will end up in having to go for massive depreciations from time to time. This is evident from Sri Lanka’s recent economic history in 2009, 2012 and 2015. When the country’s external sector is in imbalance and pressure for the exchange rate to depreciate is high, the central bank has to adopt a suitable counter monetary policy to arrest the situation. That counter policy requires the central bank to increase the interest rates and curtail the credit expansion. But the Central Bank of Sri Lanka has done just the opposite, according to IPS. Says IPS: “To compound the matters, the CBSL used both regulatory tools and moral suasion to persuade banks to lower interest rates from mid-2010 in order to boost Sri Lanka’s immediate post-war economic recovery.” The result was a sharp increase in credit growth fuelling inflationary pressures, on one hand, and causing a surge of imports, on the other. When the current account of the balance of payments was in imbalance, there was pressure for the exchange rate to depreciate. How did the Central Bank address the issue? By using the country’s foreign reserves to protect the exchange rate presenting the untenable argument that the reserves are meant for such long term stabilisation of the exchange rate. The result was the real appreciation of the exchange rate which was shown on in an ever-increasing import bill and slowing down of export earnings. Hence, temporary measures taken by the Central Bank to please its political masters have now brought in a permanent ailment to the economy. This is why economic reforms are urgent and immediate. IPS has argued that economy-wide reforms should be undertaken by the Government if it wants to take the country out of the malaise to which it has fallen today. Yet it opines that unless the country is hard-hit by a crisis, it would be difficult to sell the reform agenda to the people. But the crisis has already hit the country and people just do not see it because government has failed to communicate it effectively to the electorate. This is where the Sri Lanka Government could take lessons from the strategy used by David Cameron Government of the United Kingdom. Before the economic crisis hit the UK, Cameron was able to convince the people that painful and bitter economic reforms are needed by the country if it wants to restore its former glory. It actually pacified the boiling bloods of Britons. Greece did not follow such a strategy and up to the last minute, hid the crisis from the people by cooking up major macroeconomic statistics. Then one day, economic crisis hard-hit Greece and rest is history. 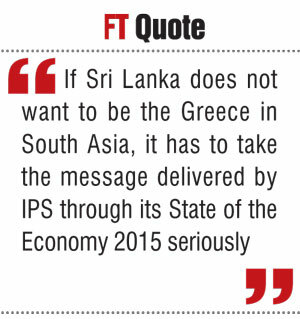 If Sri Lanka does not want to be the Greece in South Asia, it has to take the message delivered by IPS through its State of the Economy 2015 seriously.